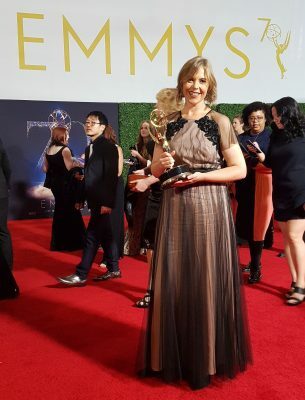 Congrats to all the winning teams at this weekend's Creative Arts Emmys. Special congrats to the world wide team that was behind Game of Thrones (GOT). 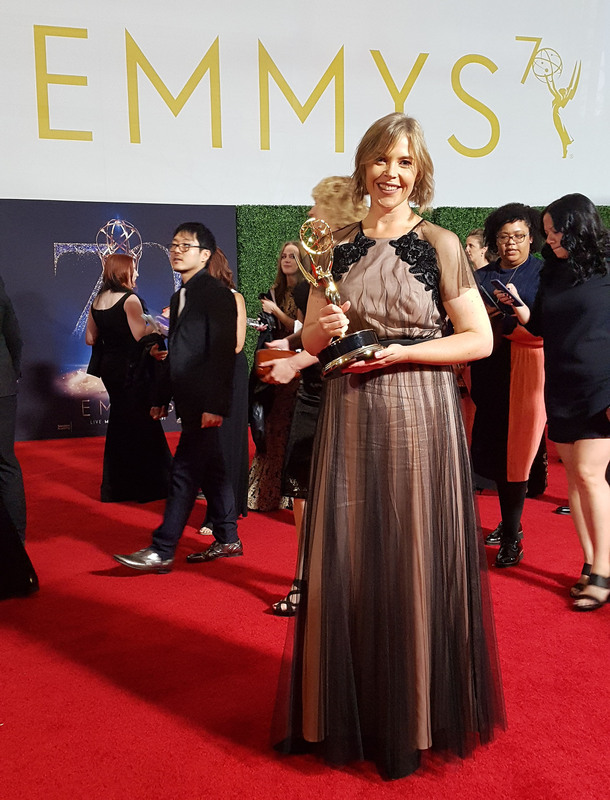 HBO’s GOT: Beyond The Wall episode won on Saturday night the Outstanding Special Visual Effects. 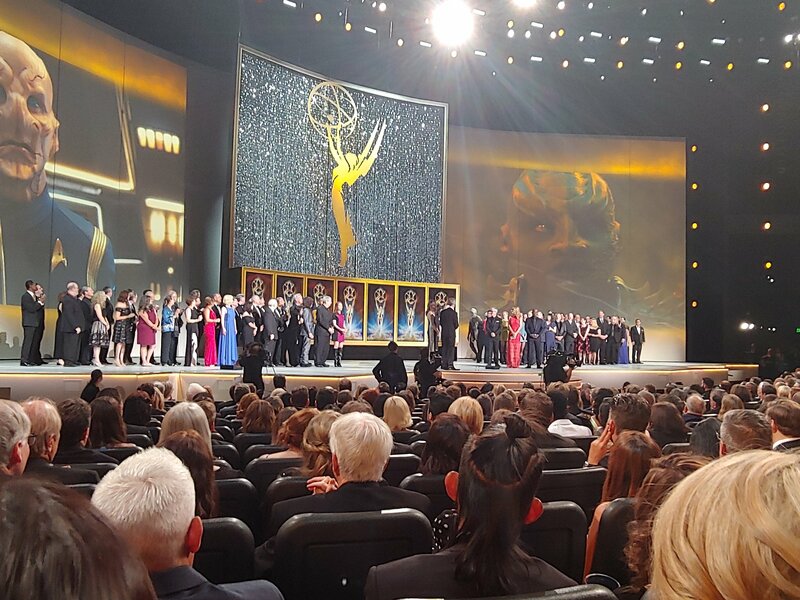 This makes GOT sixth Emmy win in this category of outstanding special visual effects at the Emmys. Pictured: Special Effects Supervisor Sam Conway; Visual Effects Supervisor David Ramos; Lead CG Supervisor Derek Spears, Lead CG Visual Effects Associate Producer Adam Chazen; Lead Visual Effects Producer Steve Kullback; Lead CG & Animation Supervisor, Wayne Stables; Previs Lead Michelle Blok; Lead Visual Effects Supervisor Joe Bauer; Visual Effects Plate Supervisor Ted Rae. “Beyond the Wall” had an incredible 2,106 visual effects shots. The episode was directed by Alan Taylor and shot in an Irish quarry which was then heavily modified in VFX, populated with re-animated corpses and fire breathing dragons. 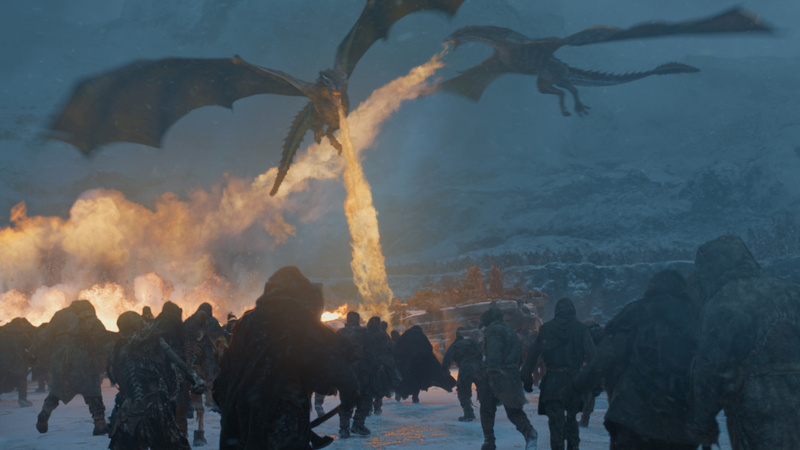 Season 7 set the bar even higher, with Beyond the Wall calling for unprecedented levels of creative and technical planning to seamlessly integrate live actors, digital dragons, real sets, stage elements and CG environment extensions, as well as fight choreography, crowd effects and carefully orchestrated fire and dunk tank shoots. “From battles with wights on a frozen lake to ice dragons and even a zombie polar bear, ‘Beyond the Wall’ had it all,” said The Third Floor's Previs Supervisor Michelle Blok. TNT’s psychological thriller The Alienist is based on the Anthony Award-winning international bestseller by Caleb Car, the series takes place in 1896 New York City. At that time, people suffering from mental illness were thought to be alienated from their own true natures. Experts who studied them were therefore known as alienists. The Television Academy honoured the Star Trek franchise with the Governors Award this year. Accepting the award were creatives and cast from each of the TV series: William Shatner and Walter Koenig from Star Trek: The Original Series, LeVar Burton from The Next Generation, Terry Farrell from Deep Space Nine, Jeri Ryan from Voyager, Linda Park from Enterprise and Sonequa Martin-Green from Discovery. Also on stage was Discovery co-creator, Alex Kurtzman, along with some Klingon who photo bombed the event. 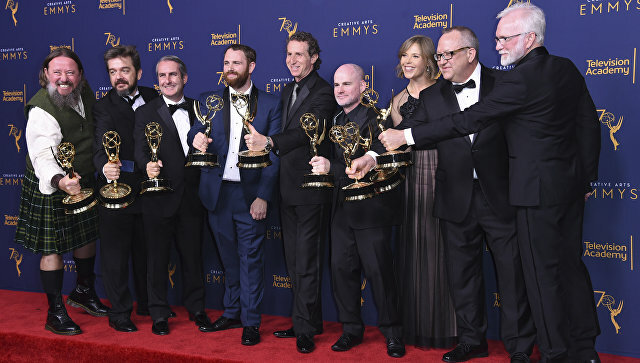 Also see our story on fxguide's great friends the Diamond Bros winning their Emmy here.